I am currently working on a small project related to a hometown sports team. During the brainstorming process, I thought that it might be interesting for the background graphic for this project to have something to do with a silhouetted view of the (gorgeous!) Pittsburgh skyline from our baseball park. This is one of my most favorite views of the city, and I really enjoyed being creative with it. 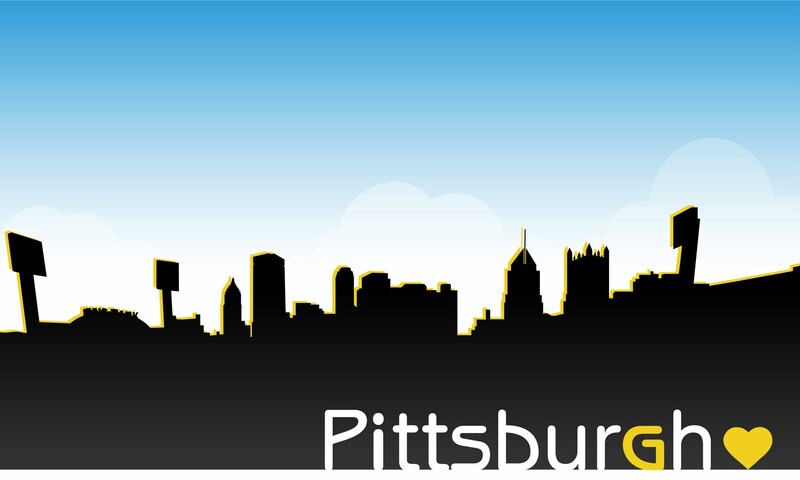 So, while I finish up this project, enjoy a sneak peek- combined with a little Pittsburgh love. This past weekend, J and I took another one hour and forty-five minute trip north on Interstate 79 to good ol' Erie, PA. His best friend and wife were celebrating their one year anniversary this weekend, and hosted an open house in their gorgeous new home just outside of 'downtown' Erie (read: Suburbia). The more times that I visit Erie, the more I learn to appreciate the beauty of all of the natural features that Pittsburgh lacks. 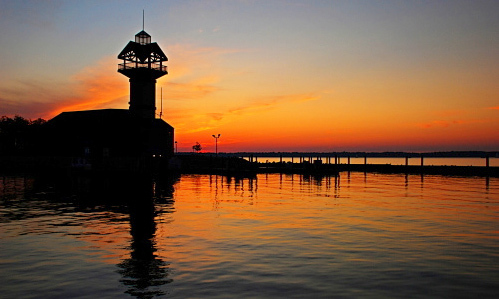 Its direct proximity to the lake means that this small town boasts a shoreline filled with gorgeous harbors and numerous sailboats. I love sailboats! The community surrounding Presque Isle State Park is not only very picturesque, but also possesses an innocent charm that seems to have remained unchanged for the past 50 years. If you know what's good for you, you'll stop at Sara's Diner every.single.time and pick up one of their to-die-for orange and vanilla twist ice cream cones. This is best enjoyed sitting on the diner's patio, watching the droves of families, locals and transplanted college students cruise Peninsula Drive with their windows down on yet another hot, sunny day. Additionally, having lived in Erie for two years during college, I heard from a number of locals that the view of the sunset from Presque Isle was given the award of second best sunset in the world (first place went to Japan). How about that for a tiny, north eastern PA city? Buffalo Chicken Dip (and the many, many variations of it) is one of my very favorite things to bring to parties and holidays. Over the past few years, it has become increasingly popular as more people have realized how delicious it is, and more importantly, how easy it is to make. Over the past few months, J and I have tried to switch things up at parties and bring a variation on the traditional BCD baked dip + tortilla chips. I absolutely love spicy things, but many people are sensitive to the amount of spice that I can tolerate. I think that the crispy nature of the tortilla chip actually tends to accentuate the spice in the dip. In this variation, wrapping the dip in a Pillsbury Roll and baking it tends to mellow out the spice and really add a sweet twist to the regular version of this appetizer. 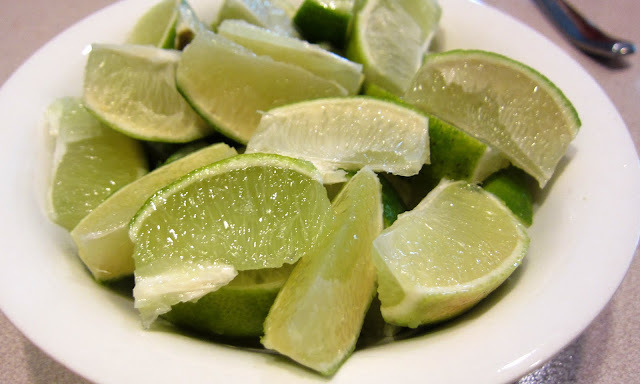 Try this recipe for yourself- I dare you to eat just one! Marinade the chicken breasts in olive oil for a half hour in the refrigerator. Slowly pan fry the chicken breasts over medium-to low heat, flipping occasionally to cook thoroughly (15-20 minutes). Once chicken is cooked, remove from pan and allow to cool for 10 minutes. Once cooled, shred chicken into bite-size pieces. Place pieces in Ziploc bag and add enough hot sauce to allow the chicken to appear pink in color. Let the chicken absorb the flavor for 20-30 minutes. On the stovetop, spray a medium-sized sauce pot with cooking spray. Place both sticks of cream cheese in the pan, and slowly melt over low-medium heat, stirring constantly. Add 3/4 C of the ranch dressing to the cream cheese once it begins to melt. Continue stirring this mixture until it is no longer lumpy. Add 1/2 of the package of ranch seasoning to this mixture. Continue stirring for 2-3 minutes. Pour the hot sauce into the sauce pan, mix until uniform in color. The amount of hot sauce that you use varies depending on how spicy you would like your dip. A dip that is less salmon in color will be less spicy. Add 1 C of sharp cheddar cheese into this mixture and stir over low heat until fully melted (7-10 minutes). Add a pinch of salt and pepper. Next, stir hot sauce-marinated chicken into the melted cheese dip. The dip should be quite lumpy. This is good. Remove dip from heat, stirring it every few minutes to ensure that it has not bunt on the bottom of the pan. Cover a cookie sheet with aluminum foil. Open both packages of biscuits and space them out on the cookie sheet(s). Place a small scoop of the dip on the inside of each roll. Re-assemble the rolls as directed on the outside of the Pillsbury packaging. Brush a small amount of hot sauce on the top of each roll, and sprinkle about a teaspoon of the remaining sharp cheddar cheese on the top of each roll. Bake dip and rolls according to the directions on the package of the rolls that you have chosen to use. Allow rolls to slighty cool before enjoying- cheese stuffed inside will be hot! (Read: don't burn the roof of your mouth.) Enjoy! *If you would like to make buffalo chicken dip without the rolls, omit the ranch seasoning and add the full amount of Ranch dressing that is recommended in the recipe. Place the dip in a casserole dish, cover with the remaining shredded cheese, and bake for 10 minutes at 400 degrees. I recently came across this image on one of my very favorite daily blog reads: Creature Comforts. I was so intrigued by the light, airy feel of the photograph combined with the bright geometric patterns on the objects pictured. 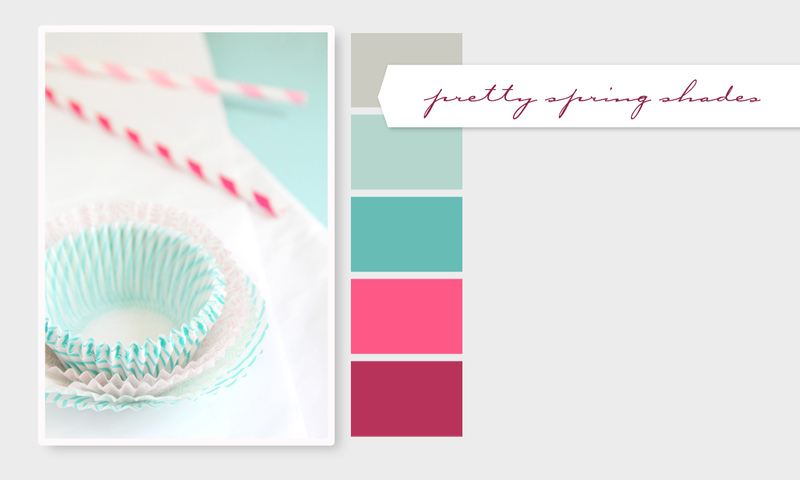 There is something so feminine, yet modern, about the combination of bright magenta and Tiffany blue. I would love, love, love to have an office painted in this shade of turquoise and pale gray with white and pink accents. So inspiring and creative. 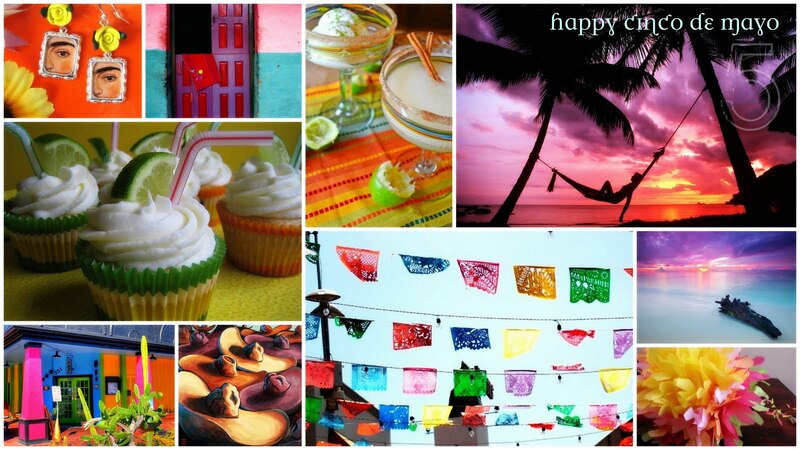 Enjoy the bright colors- Summer is just around the corner! (C) 2011, Vanessa Lynn King and v13designs. Powered by Blogger.